DOUBLE TROUBLE FOR A.T. BUSINESS! 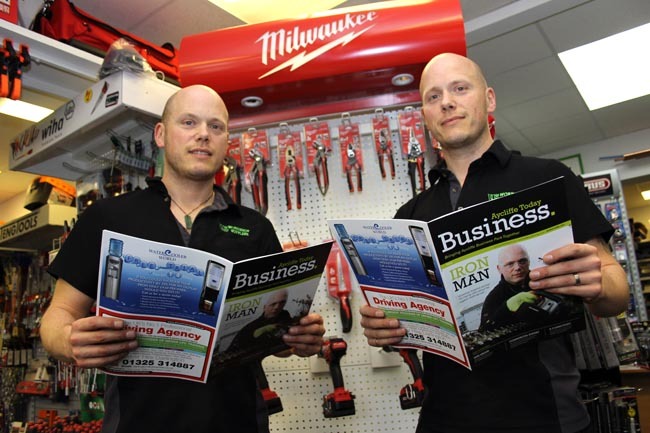 Twins Phil and Mark Harrop were the first to get their hands on our eagerly-awaited business magazine. The third issue of Aycliffe Today Business, for March-April, has been increased from 16 to 20 pages and is currently being mailed out to every company on Aycliffe Business Park. 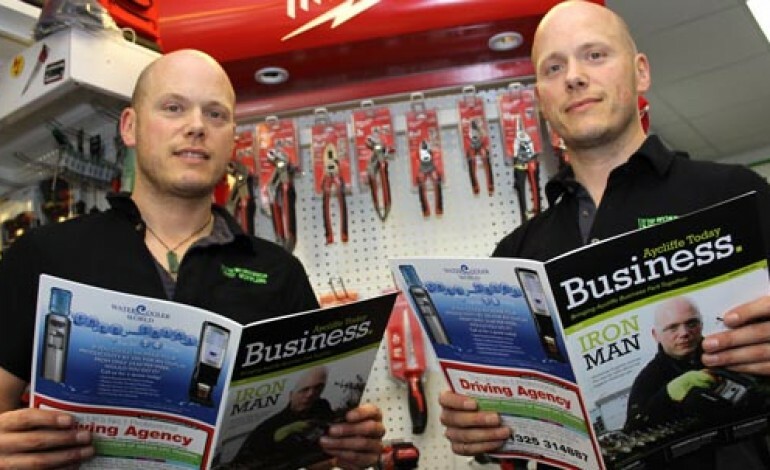 The cover page and main feature talks about Workshop Supplies partner Phil Harrop – pictured above (left) with brother Mark – and their efforts to help clean up the industrial estate, with the headline ‘Iron Man’. You’ll have to read your copy of the magazine to find out more about that headline! The issue is also packed with news from HMP Group, Water Cooler World, Linden Group, Hitachi, SWD Training and Commercial Expert. Guest columns are written by Gregg Little and Russ Sawdon, executive director of BNI Durham and Teesside, while the foreword for this issue is penned by Ebac Group chairman John Elliott. “With every issue the magazine grows and grows,” said editor and founder Martin Walker. “We’re only three editions in, but the early signs are promising that it’s proving to be hugely popular, and not just a flash in the pan. Companies can expect to receive their March-April issue of the magazine this week. Previous article RED HAIR DAY FOR KEEN MECHANIC!